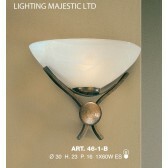 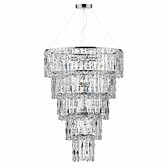 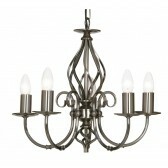 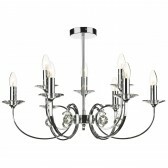 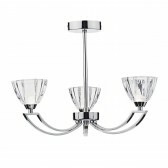 The Amadis Chandelier - This attractive light fitting is very angelic in appearance. 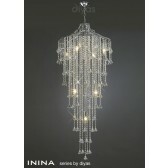 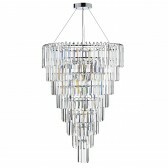 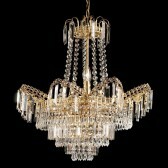 Finished in polished chrome and bathed in crystal-like glass cuttings which create a dazzling effect when illuminated. 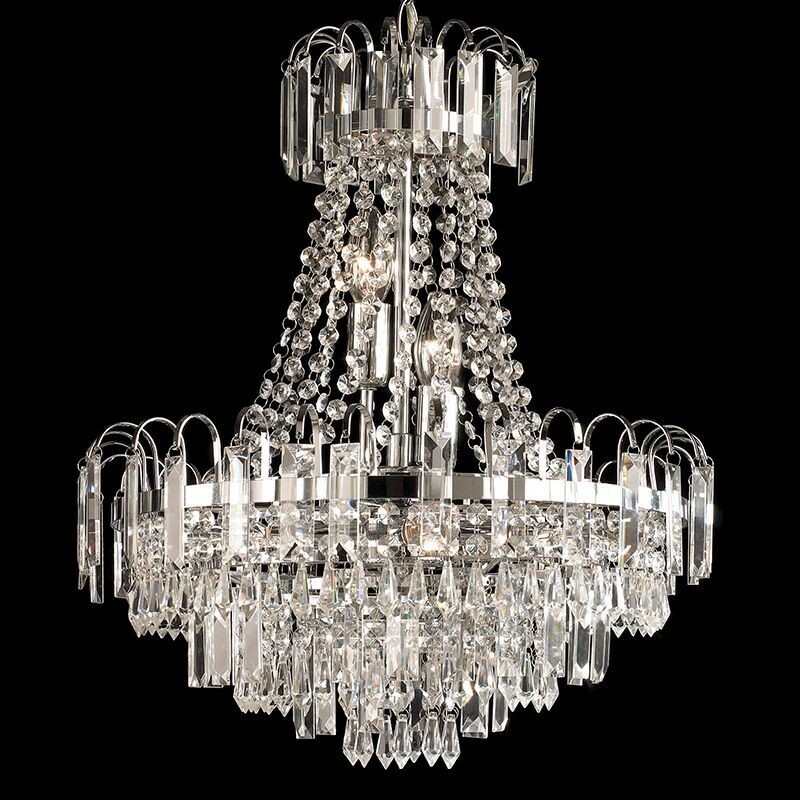 This fitting would be well suited to both modern and traditional decors as well as a fine talking point in a hotel, restaurant or other commercial establishment.